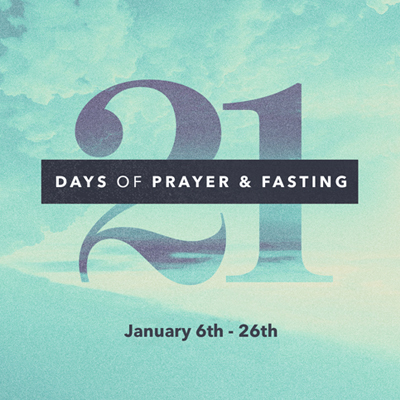 You’re invited to join us as we corporately pray and fast for 21 days in January. We will be seeking God’s presence, wisdom, and favor upon your life and the ministry of Christ Covenant Church. In addition, we would like to invite you to start off your work/school week at early morning prayer! Join us on Monday mornings as we seek God together. Hot coffee will be provided. Day 2 of #21DaysOfPrayer. We’re praying for the leaders of our government today. Day 8 of #21DaysOfPrayer. Our focus today is connect groups. Praying for leaders and for everyone to be connected in a group. Day 9 of #21DaysOfPrayer. Today we’re praying for the lost. Take a moment and lift up someone who is far from God. Day 10 of #21DaysOfPrayer. Focus is on our Volunteer Teams. Praying that every believer discovers their purpose & starts to make a difference. Day 11 of #21DaysOfPrayer. Today we’re praying for our children and students and the ministries that impact them. Take a moment and join us. Day 16 of #21DaysOfPrayer. Our prayer focus today is our church! Let’s pray that any time the doors of Christ Covenant are open, people meet Jesus. Day 18 of #21DaysOfPrayer. Ask God for wisdom for how to best represent Him to those around you. Let’s use our influence to tell others about Jesus! Day 20 of #21DaysOfPrayer. Today, we are lifting up our personal needs. God is faithful in every situation. Give your needs to Him! He cares for you.